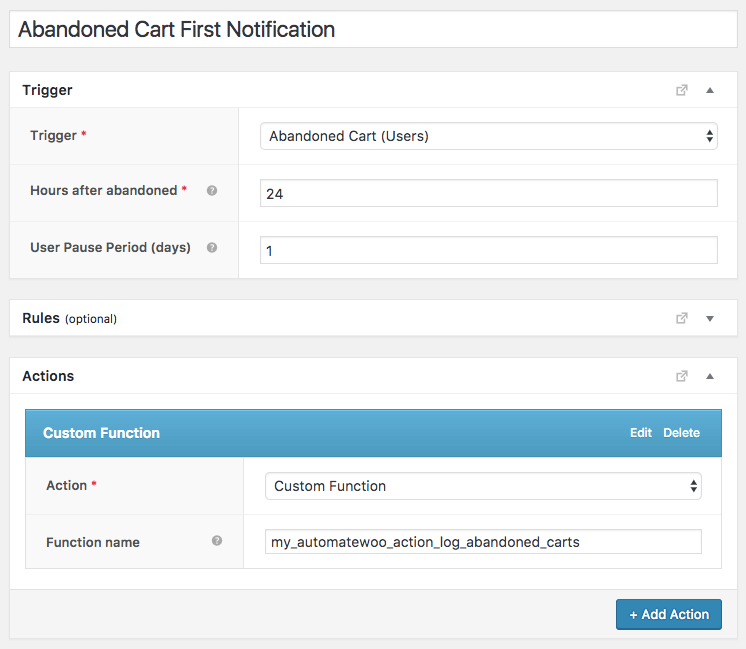 Here’s a quick example of how to use a workflow with a Custom Function action to create an abandoned cart log. We recommend adding any custom functions to your theme or child theme. Adding them to the AutomateWoo plugin folder should be avoided.